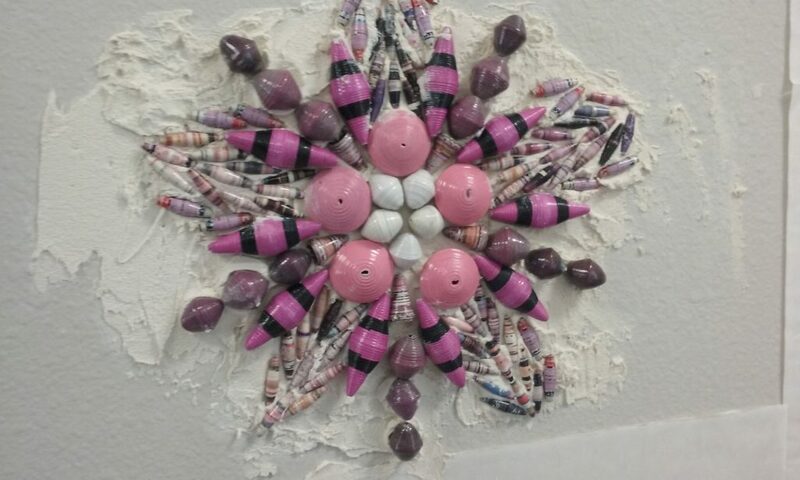 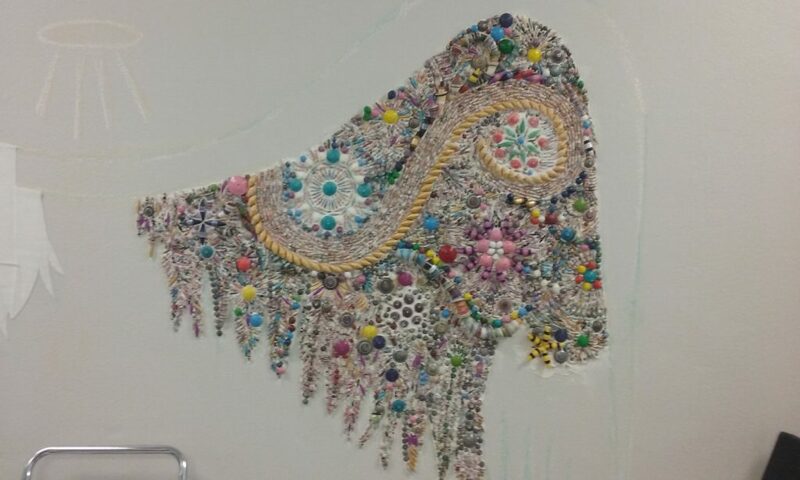 Home » Paper Bead Creations » Our Angel Wing Project!!! 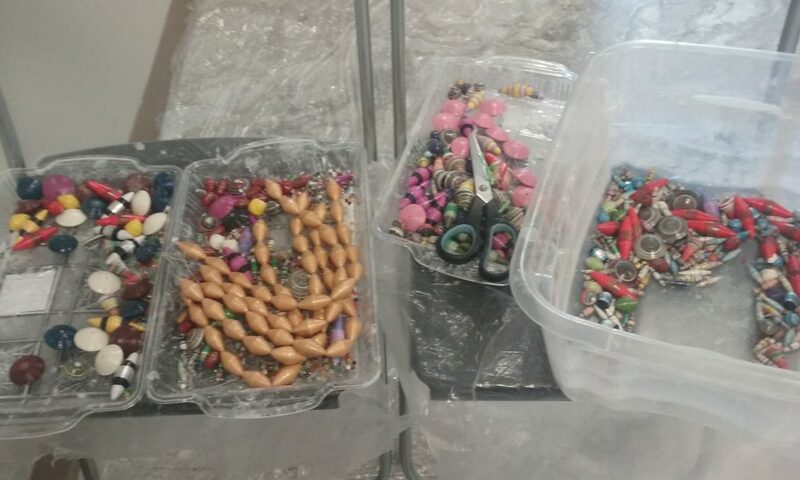 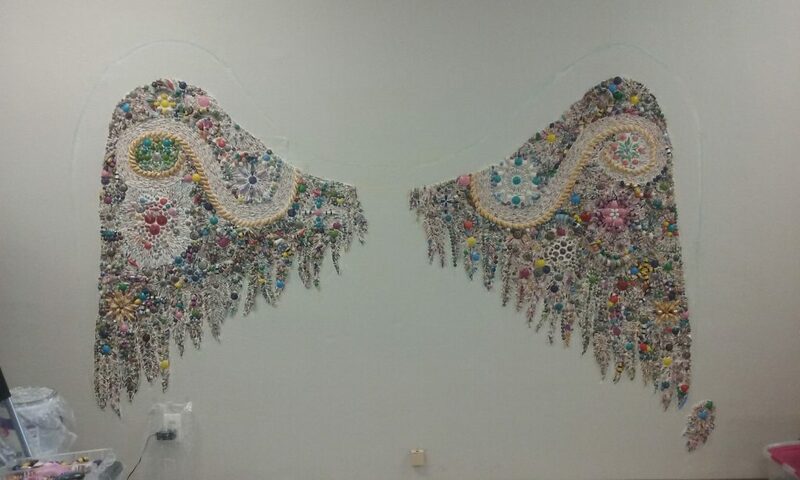 Posted on Jul 27, 2016 in Paper Bead Creations | Comments Off on Our Angel Wing Project!!! 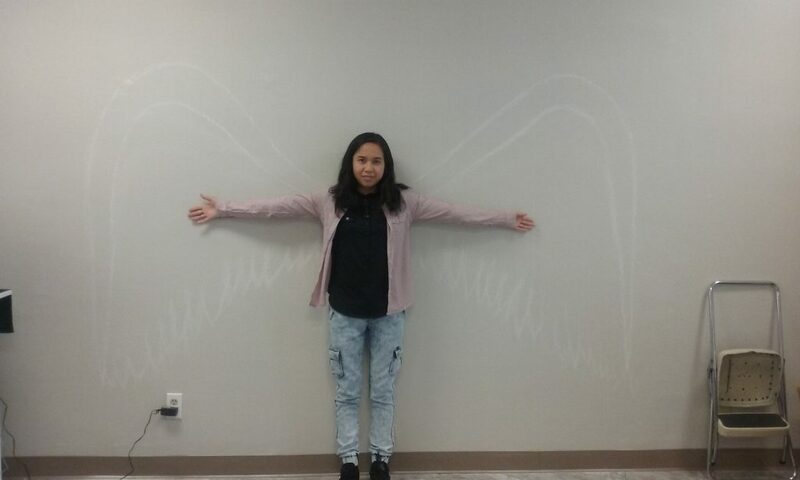 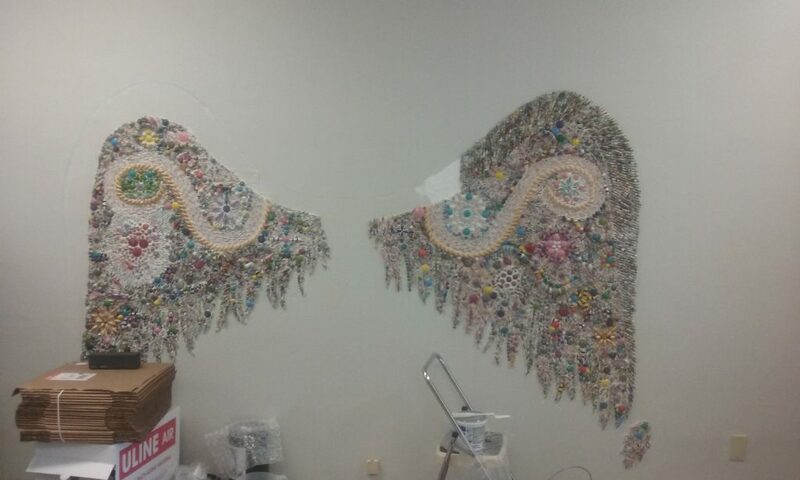 Our angel wings are finally done! 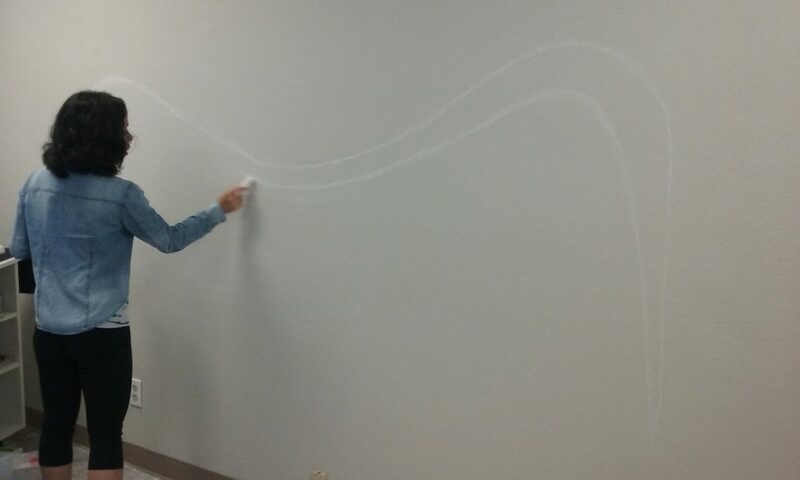 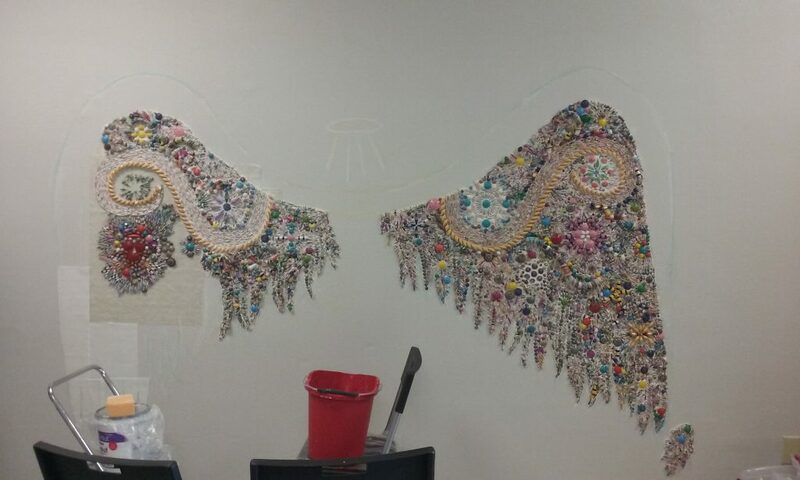 It took almost a month for our workers Samantha and Tanya to finish the wings. 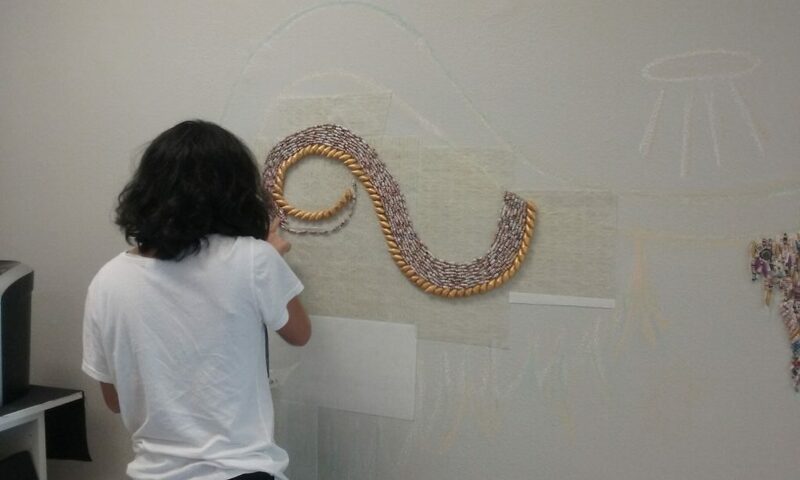 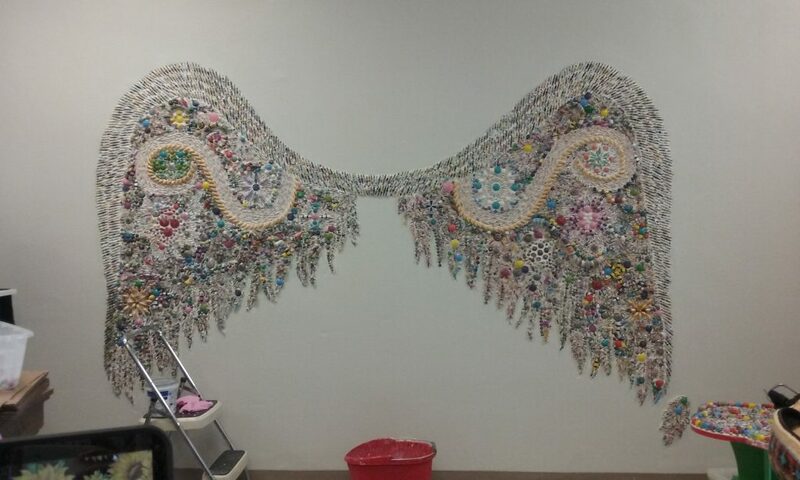 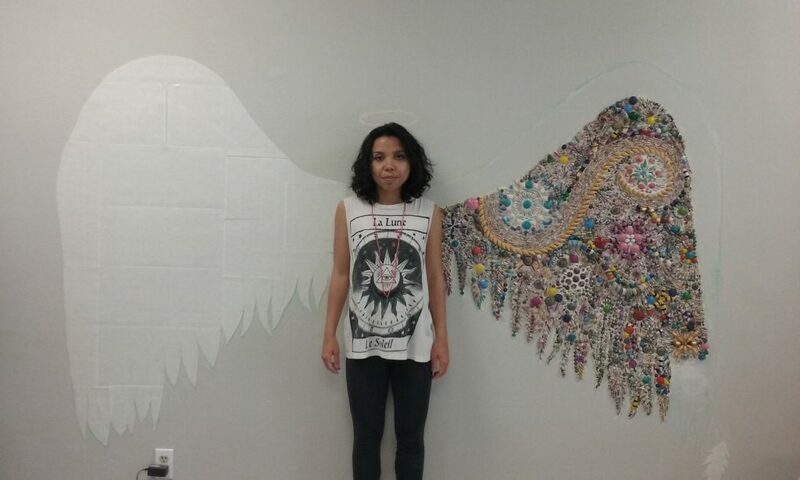 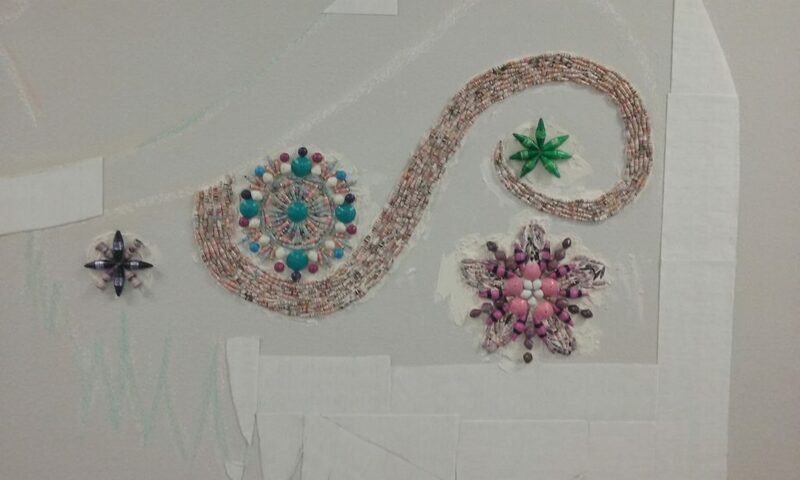 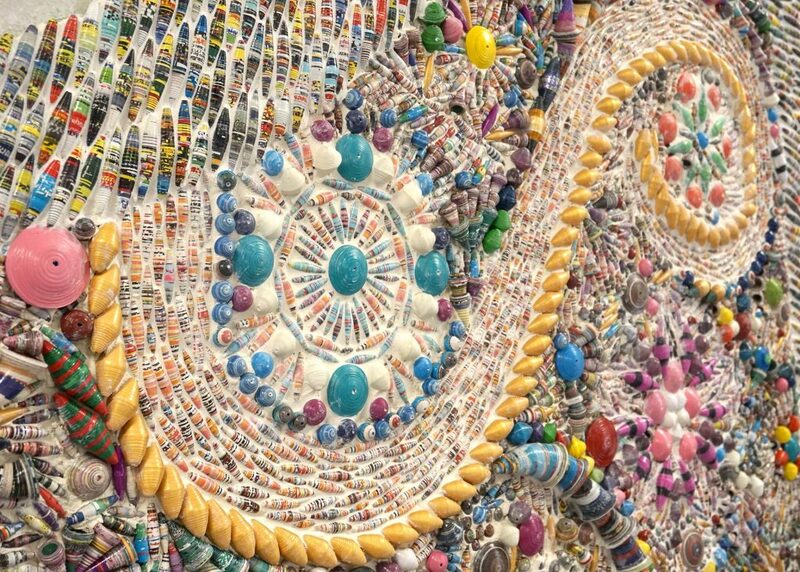 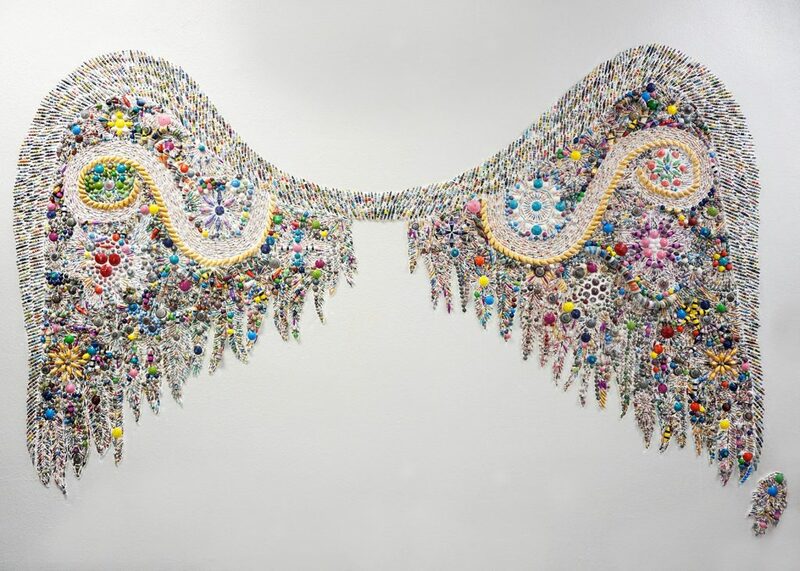 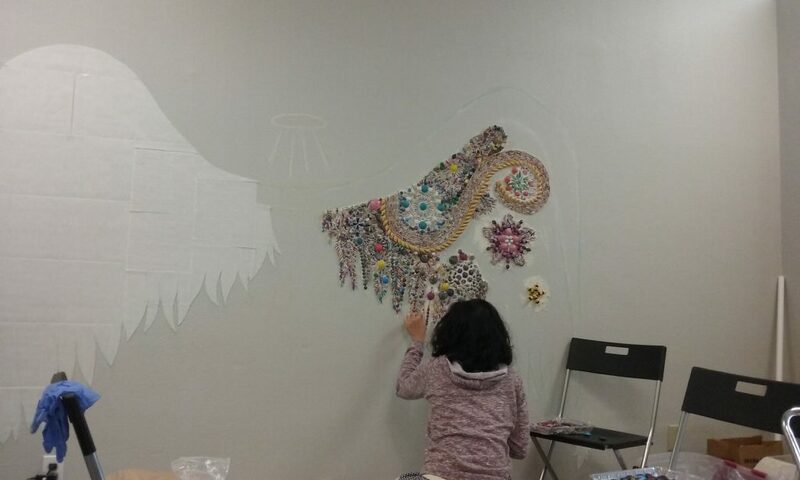 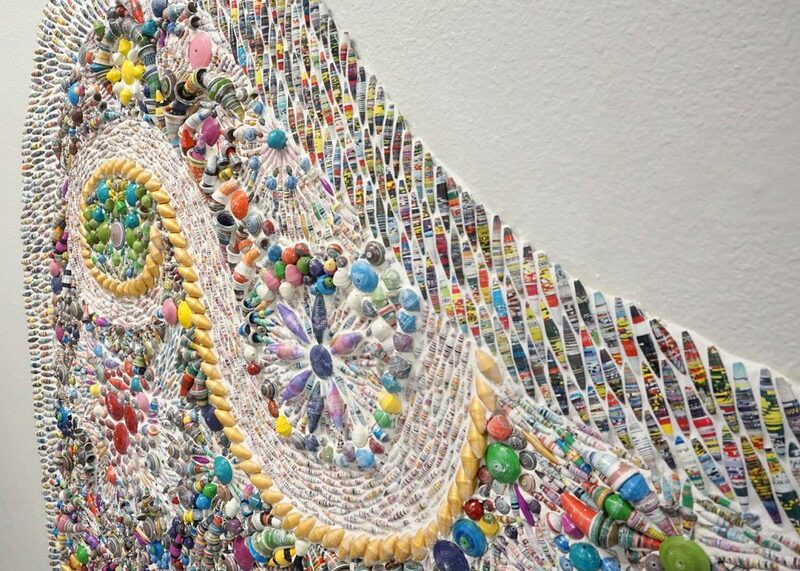 The wings are made from thousands of paper beads and grout. 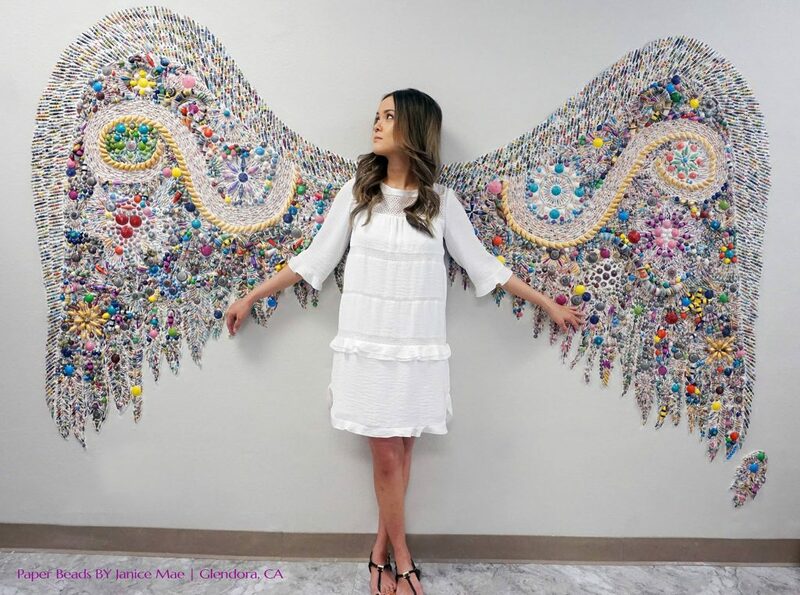 Come by our store on Route 66 of Glendora, CA to see the beautiful angel wings for yourself!